Use this resource with your students to practice solving elapsed time word problems using subtraction. 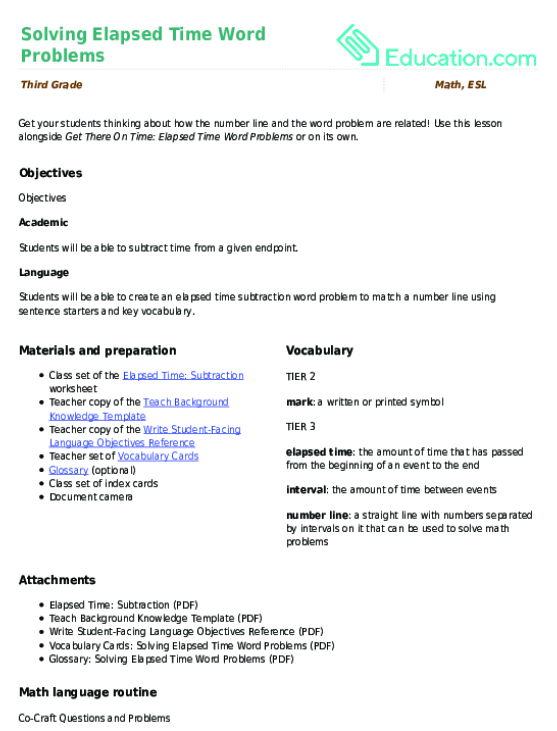 Use this glossary with the EL Support Lesson: Solving Elapsed Time Word Problems. Use these vocabulary cards with the EL Support Lesson: Solving Elapsed Time Word Problems. 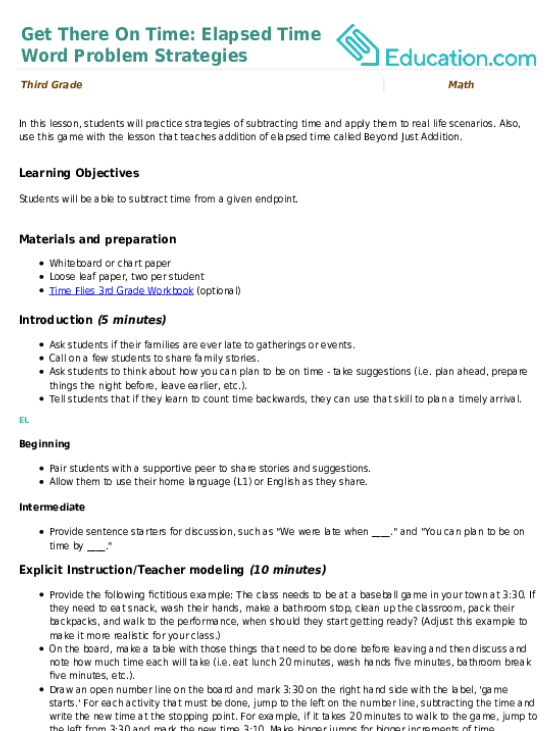 This resource gives your students practice determining the amount of time that has passed, or elapsed time, during an event or activity. Use this resource with your students to practice solving elapsed time word problems using addition. Also, use this game with the lesson that teaches addition of elapsed time called Beyond Just Addition. 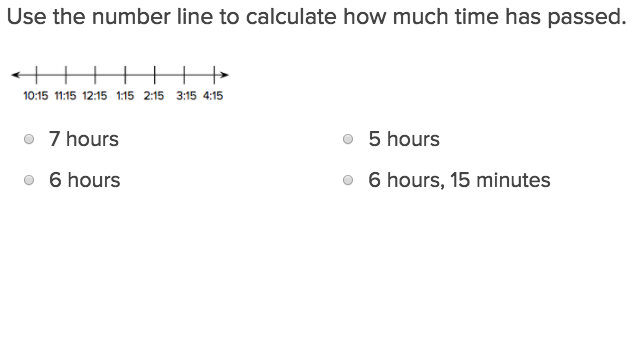 Use this resource with your students to practice finding elapsed time on a number line.